An edgy and brilliant witted masterpiece inspired by the Dahomey female warriors. Radiating champions, full of vigor and strength. 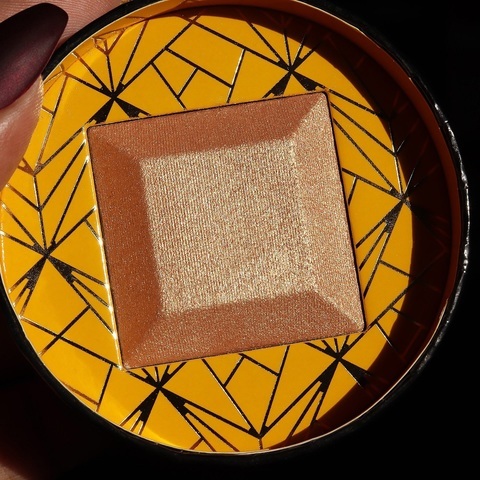 Introducing our show stopping, newly released baked highlighter with finely milled pearls, skillfully pressed to create a one of a kind glow. 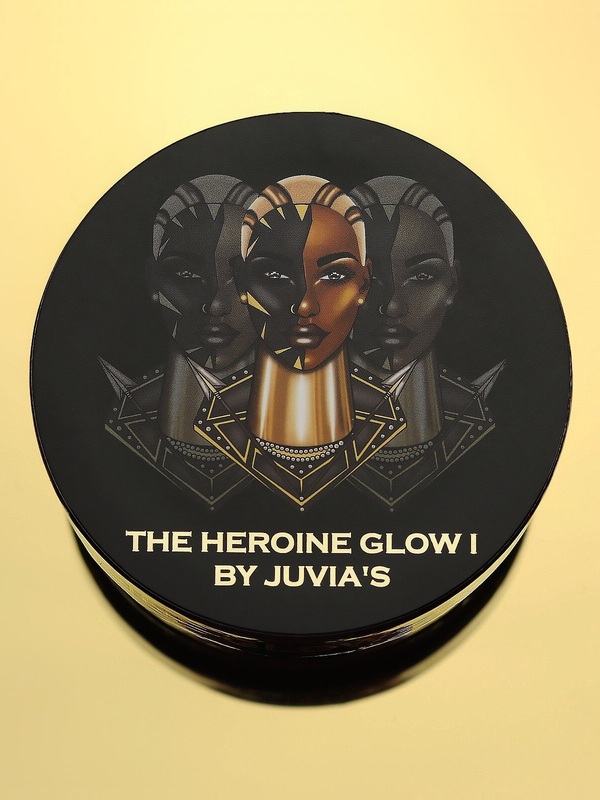 Heroine Glow 1 is a universal shade infused with gold pearls to give a reflective glow. MICA, SYNTHETIC FLUORPHLOGOPITE, TALC, SQUALANE, DIMETHICONE, ALUMINUM STARCH OCTENYLSUCCINATE, ISOPROPYL PALMITATE, POLYSORBATE 20, ACRYLAMIDE/SODIUM ACRYLOYLDIMETHYLTAURATE COPOLYMER, MAGNESIUM ALUMINUM SILICATE, OCTYLDODECYL STEAROYL STEARATE, CETEARYL ETHYLHEXANOATE, CAPRYLYL GLYCOL, ISOHEXADECANE, SORBITAN STEARATE, DIMETHICONOL, ISOSTEARYL SEBACATE, SIMMONDSIA CHINENSIS SEED OIL, TOCOPHERYL ACETATE, TIN OXIDE, POLYSORBATE 80, HEXYLENE GLYCOL, NYLON-12, DISODIUM STEAROYL GLUTAMATE, ALUMINUM HYDROXIDE, SORBITAN OLEATE, ALUMINA, CALCIUM ALUMINUM BOROSILICATE, LAUROYL LYSINE, SILICA, SODIUM DEHYDROACETATE, PHENOXYETHANOL. [+/-]: CI 77491, CI 77492, CI 77499, CI 77891.